MS-DOS 1.25 is one of the operating systems that was mainly used by rich people, businesses, and schools. This is required, unless you have windows 1.0-ME and not NT, to play these games. But most of the games require ms-dos 5.0 - 6.22/7.10 to play. So you can look it up on google with the chance it isn't legal or you can buy a legal copy on ebay. Now you can add videos, screenshots, or other images (cover scans, disc scans, etc.) 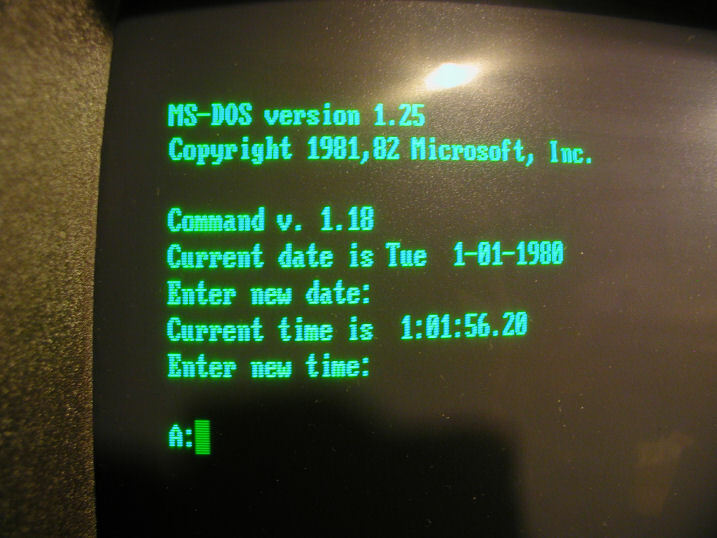 for Ms Dos 1.25 (1982)(Microsoft) to Emuparadise. Do it now! If you haven't noticed yet, we have a retro game of the day feature (top-right of the screen) wherein we feature a new retro title every single day! Now, you can vote for your favorite games and allow them to have their moment of glory. Click on the button below to nominate Ms Dos 1.25 (1982)(Microsoft) for Retro Game of the Day.